For all the accusations of being “common”, “generic”, “pedestrian”, “industrial” I say YES and in the best possible ways. While it’s true the 7750 is the beating heart of many, MANY chronographs it is by no means Plebeian. Blood lines extend many generations, beginning with the venerable Venus column wheel chronographs starting with the Cal.170 and then the Cal. 188. You’ll pay top dollar for one of these vintage patrician ancestors. Venus was acquired by Valjoux in 1966 which in turn was acquired by ETA in the 1980’s to become the exclusive supplier to its parent company, the Swatch Group. Many lesser calibres didn’t survive these dynastic upheavals. The 7750 like many aristocrats, is a survivor in so many admirable regards. Valjoux 7750 was a new clean-sheet design following on from the base calibre 7733. It was smaller than the 7733 (13 1/4 vs 14 lignes), with a higher beat rate (4 vs 2.5 Hz) and rocking pinion engagement replacing the horizontal clutch. The 7750 was introduced July 1st 1974 at the height of the Quartz crisis and initially sold well with a purported 100,000 pieces that year. Surprisingly, production ceased abruptly the following year with supplies lasting well into the 1980’s. Dies and equipment somehow survived allowing production to restart in 1985 when demand for mechanical watches began to recover. The durable and inexpensive design allowed the Swatch Group to crank out large volumes, re-branding them ETA 7750s. It didn’t take long for the ETA 7750 to become the most common Swiss automatic chronograph movement. In its highly finished form, its accuracy and robustness allowed it to achieve COSC Chronometer certification meeting the standards required for adoption by manufacturers like IWC, Tudor, Panerai, Hublot, Breitling, TAG Heuer, Buren, Zenith and others. 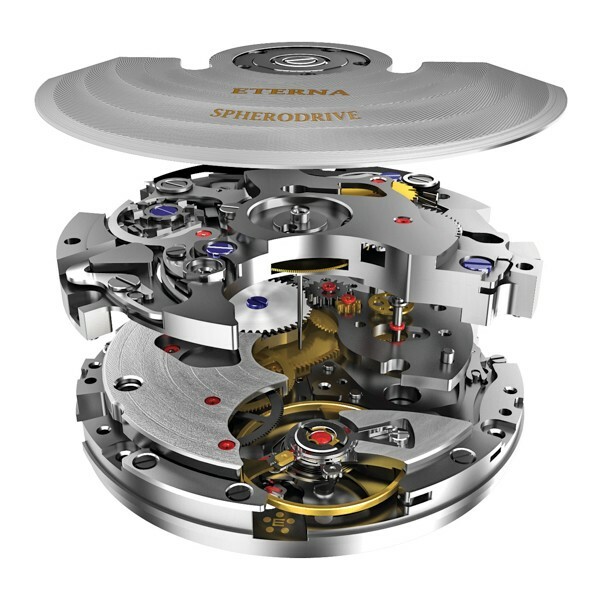 ETA produced the 7750 in three grades, Elaboré, Top and Chronomètre. While derived from the same base architecture, they were hardly “generic”. In fact five subsequent derivatives were spawned from these three grades. 7751 Full calendar with hands date, moon phase, 24-hours indication. To imply the 7750 is dull, suggests a lack of independent thought. Selita has been quietly making the 7750 under subcontract for years. As patent protection rights lapsed for some of ETA’s older movements, Sellita has filled the gap in the market by producing clones of ETA movements. Launched in 2012, the Sellita SW500 is essentially the ETA 7750. TAG Heuer offer their Calibre 16 in several models- sometimes that means the ETA 7750, sometimes it means the Sellita SW500. Whatever you think of Tags racing chronographs, they’re hardly dull. Nor the Tudor Big Block for that matter! 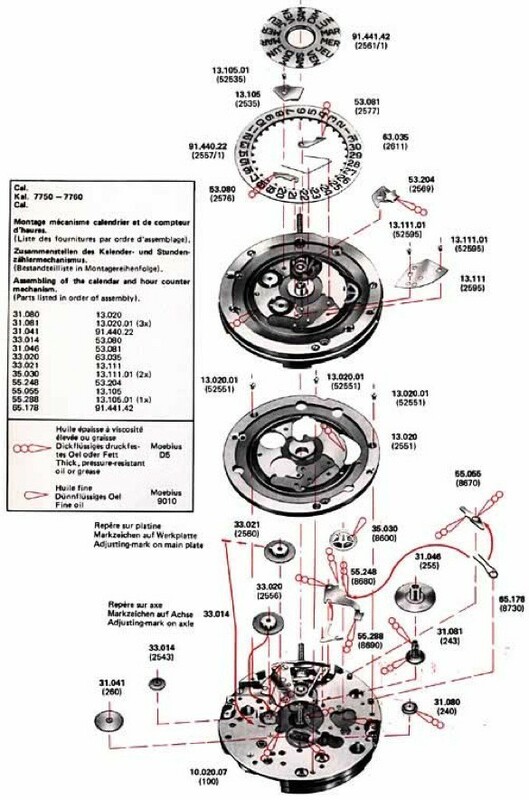 While Valjoux was a leader in manual-wind chronographs, it was slow to build an automatic self-winding version. Edmond Capt lead the development in the early 1970s (yes, that Edmond Capt of Blancpain and Lemania fame). 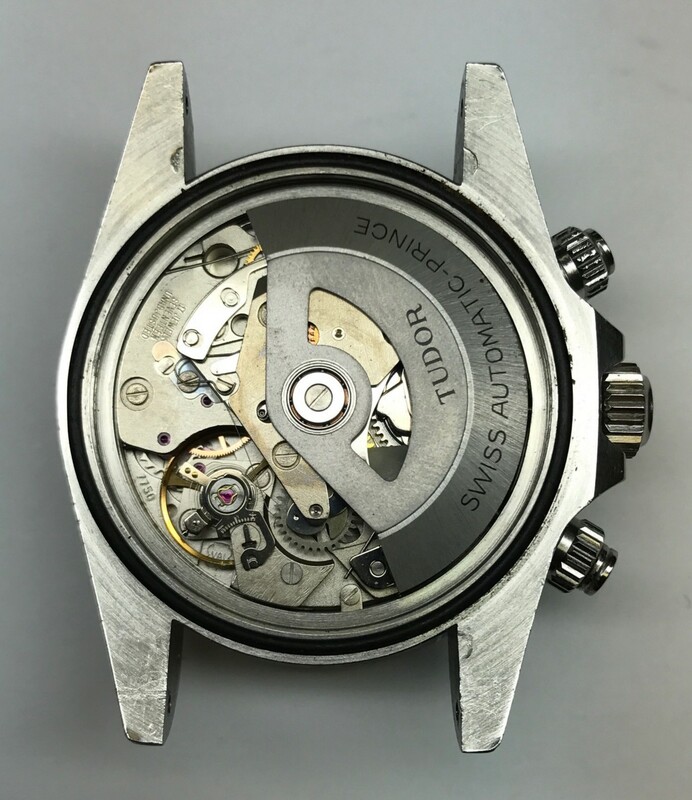 The 7750 was first available in watches in 1973, having been one of the first movements to be designed with the aid of a computer (!). There was a computer available to Edmond in the town of Neuchatel and he visited frequently to run mathematical simulations of his components and model the movement’s theoretical behavior and functions. 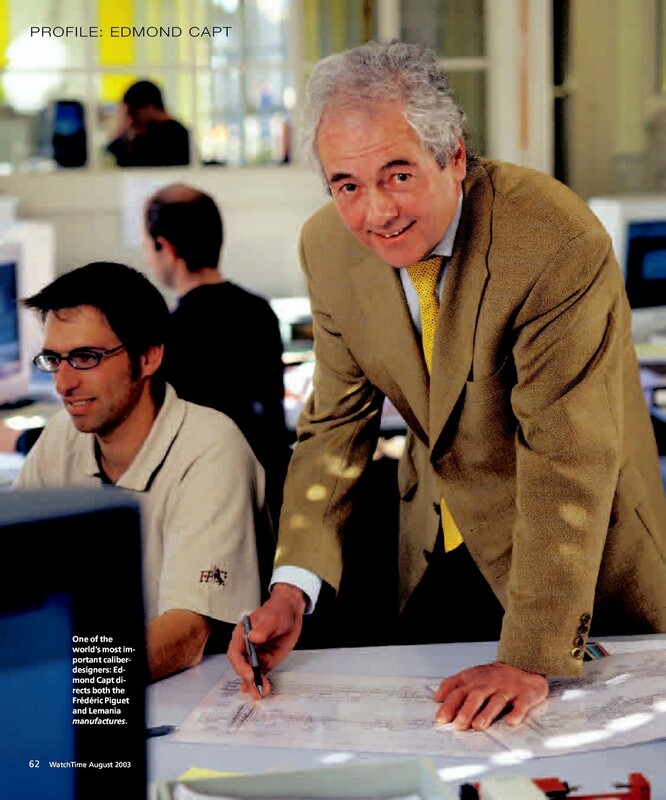 This was the dawn of Computer Aided Design, Engineering and Manufacturing (CAD/CAE/CAM) and Edmond Capt was a pioneer. This computer designed marvel is relatively thick and large compared to its contemporary competitors. Arguably over-engineered, it has a unique sonic signature — the sound of the rotor. The 7750 is mono-directional (only winds in one direction) and has a relatively large and heavy oscillating weight that can reach high speeds when rotating in its non-winding direction. As it free-spins in one direction, the wearer can feel the movement “wobbling” on the wrist. Many ardent admirers call this the live beating heart of the 7750! Anonymous, low profile GenX-er. Weathered and leathered, with early signs of patina and wabi-sabi. Improving with age.